Puerto Rico-born Marcos Santana has long admired the musical West Side Story, yet he finds it unbalanced. “The Jets definitely have more presence through the entire play than the Sharks,” he says, referring to the American street gang versus those who grew up in his native island. “I still love this show, but there was always something inside of me saying, ‘This show is just not right, it just doesn’t feel right,’” says Santana, who is directing the new-look production that opens at the Maltz Jupiter Theatre on March 29. West Side Story, which was created in 1957 by a stellar team that included composer Leonard Bernstein, adaptor Arthur Laurents, director-choreographer Jerome Robbins and a young lyricist making his Broadway debut, Stephen Sondheim, has particular resonance these days, when the political landscape has turned anti-immigrant. But as Santana is quick to point out, Puerto Ricans are born in the United States. Blackstone feels it is important to produce West Side Story today “I think because there’s a lot of anger in the world right now. And having empathy for Marcos’s situation, and learning more about what it means to be a Latin person in America, having that empathy makes me want to tell this story. And also for my own anger about being an American and how I feel about the current political climate. “To be able to work on a piece where you can put those feelings into it is terrific. The choreography feels charged, and that’s a gift, because you have somewhere to put that energy,” he said. From a young age, Blackstone watched the Oscar-winning film version of West Side Story (“It’s in my head. I grew up on it.”) and considers Robbins’ choreography for it practically perfect. Nevertheless, he is not daunted by taking his own approach to the material. “You just do every moment, one step at a time. I try to do my best to keep it honest and keep it connected to what the show is. That’s all I can do,” he says. “It’s up to the audience to decide what they think, but hopefully they’ll be so in the story they won’t think about what came before this. 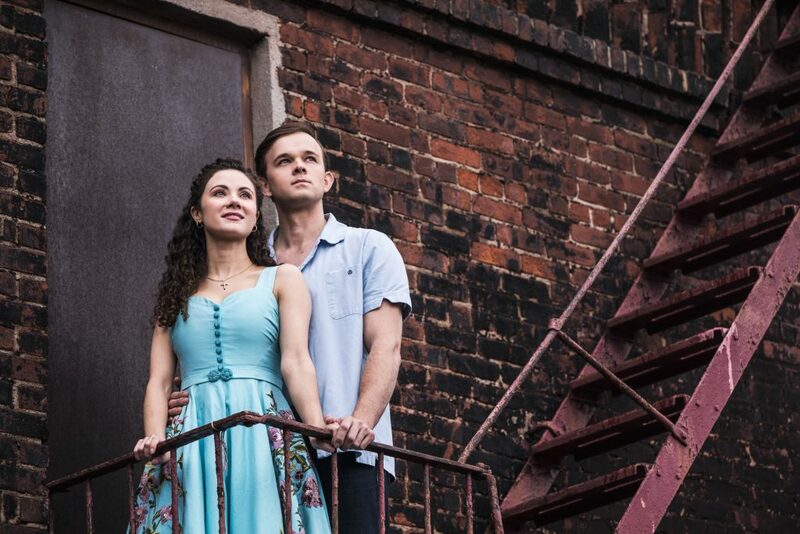 West Side Story is undeniably a classic of the musical theater, one of the top handful of shows ever written. But why? WEST SIDE STORY, Maltz Jupiter Theatre, 1001 E. Indiantown Road, Jupiter. Friday, March 29-Sunday, April 14. $60-$120. 561-575-2223 or visit www.jupitertheatre.org.